Slab of marble (100.5 x 76.1 x 31.2 cm). 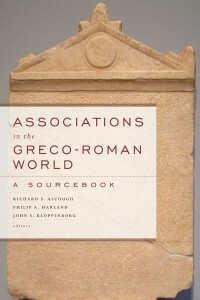 In this very fragmentary text, Lapheides, a priest of Athena Lindia, Zeus Polieus, and Artemis Kekoia, is honored by a variety of civic bodies and associations. Many of these groups are the same as those who honored Nikassa, the wife of our Lapheides, and their son (see ILindos 392 on this site). Associations that can be discerned in our present inscription include: a brotherhood of the Grennadians; farmers from Lindos area; Damageteians; Atabyriast Pergaists (perhaps devotees of Artemis Pergaia); celebrators of the Panathenaia festival (Panathenaistai) who are soldiers; devotees of Isis and Sarapis; devotees of Herakles; devotees of Athena Lindia; devotees of Dionysos; and, perhaps devotees of Asklepios and of Aphrodite.